Cited in the Domesday Book as ‘Acreuurde,’ Ackworth is a large, picturesque village protected by a conservation order in the heart of West Yorkshire, three miles south of Pontefract. The name Ackworth is derived from two old Anglo-Saxon words: ‘Ake’ meaning Oak and ‘Uurt’ which means worth – a village or hamlet. In 1302 the village became part of the Honor of Pontefract and it was, until Stuart times, part of the possession of the Kings of England. Today the village is filled with historical and architectural treasures including one of seven Quaker Schools to be found in the British Isles and a magnificent Anglo-Saxon church dating from the 1330s. 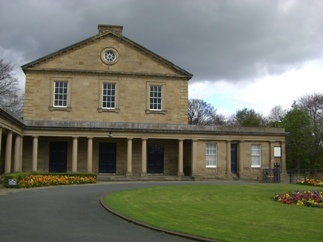 Founded in 1779 as a Quaker school for boys and girls and set in acres of stunning Yorkshire countryside, Ackworth School has a rich musical heritage. The Meeting House where five of the concerts take place this season, is an historic Georgian place of worship and one of Ackworth’s architectural gems – a magnificent setting for concerts with excellent acoustics. Further information at Ackworth School.